Moscow and Novosibirsk, Russia: November 22, 2018 – LEDAS Ltd., a leading provider of software development services for the CAD/CAM/CAE/PDM/PLM market, and Ingipro, a developer of innovative Web solutions for working collaboratively with engineering data, today announced the signing of a license agreement for LEDAS Cloud Platform (LCP). During the development of LCP, LEDAS kept in mind the specific challenges presented by BIM. The design of LCP is influenced by the many 3D Web projects on which LEDAS has worked, absorbing from them the best technologies and practices. The biggest of these was a BIM project, with a duration of many person-years. 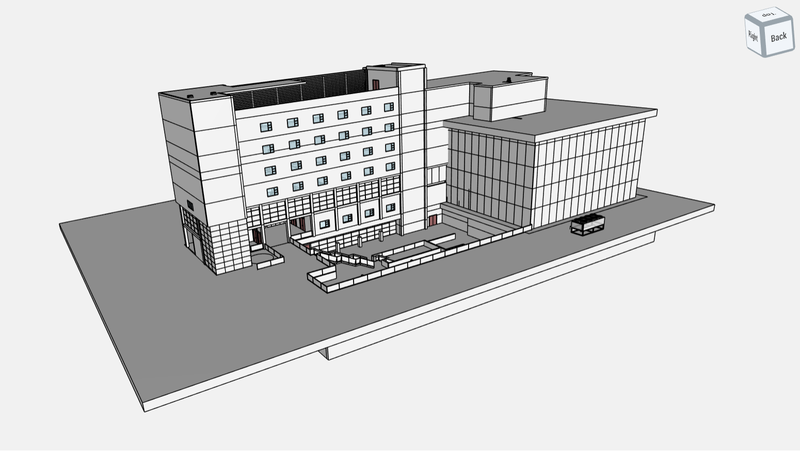 Russian company Ingipro is the first BIM licensee of LCP, coming on the heels of licensees in the fields of digital dentistry, automated CAM cost calculations, prosthetics design, and 3D scan processing. LCP is a scalable cloud platform, which consists of a client-server stack of technologies adjusted to needs of CAD users and specifics of CAD data and processes. It combines the reliability and scalability of Linux Web servers, used for dispatching of users’ requests, with the ability to use third-party 3D geometric engines and libraries that historically have been based mostly on Windows. The functions of 3D data storage, access, viewing, navigation, management, and collaboration are available “out of the box,” while data editing can be provided upon request for particular use-cases. LEDAS Cloud Platform is available for licensing of its binary code, with partial access to the source code. The LCP licensing price is a fixed fee without royalties, and this sum can be paid by annual installments until fully paid. LEDAS has been operating in the global CAD market for nearly 20 years now, taking on ambitious R&D projects that employ its staff of especially qualified mathematicians and computer scientists. The company is best known for the constraint-based tools and component technologies it developed for the CAD, CAM, CAE, and PDM markets. Ingipro is a Russian developer of solutions in the area of PDM/PLM. Its Ingipro flagship product is an innovative Web-based PDM/PLM solution with collaboration capabilities.